In case anyone hasn’t heard yet, the July Ciclavia has been canceled. As posted on their site, the need to expand is taking up all the time and resources so as to improve on the routes, safety for everyone, making it more pedestrian friendly etc. 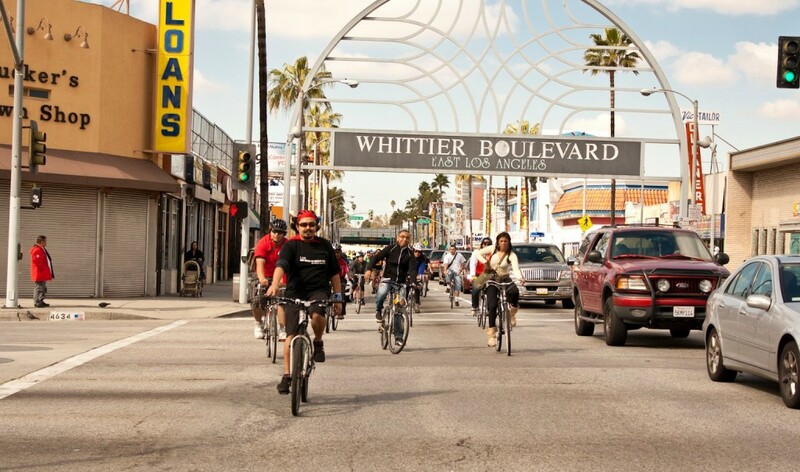 Read the blog post to find out what are some the things they’re working on for the Oct. ride, which includes an expansion into Boyle Heights and South Central. The two proposed routes are available for folks to check’em out and they look awesome. As part of the expansion process, the Boyle Heights exploratory ride will take place this Sunday at 11 a.m. at Libros Schmibros !! Community residents, including myself, have been attending the expansion meetings and chiming in with our two cents as to what makes BH great and destinations and routes outsiders will enjoy when crossing over the river. The route expands starting at Boyle street taking all of 1st. street down to Lorena. On Euclid will then connect folks to Whittier Blvd. and end at Salazar Park, which turns into LA County. If you know BH, then you all the restaurants, historical and cultural landmarks that found all along this route. See ya Sunday and rsvp on the facebook event page for any last minute changes on meeting location or time. This entry was posted in boyle heights, culture, East Los, Eastside, Events, Gente, gentrification, history, sports by El Random Hero. Bookmark the permalink.